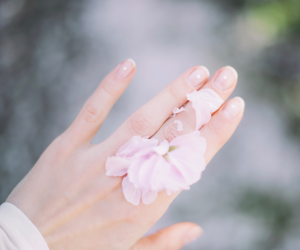 Home › Articles › DIY Spa Day: Treat Yourself! DIY Spa Day: Treat Yourself! Feeling stressed out? It shows in your skin, your hair, and your energy levels—even your productivity! That’s why a trip to the spa is sometimes the perfect antidote to a rough week. Can’t justify the cost of a day of pampering at a fancy spa? Create an oasis in your home for the day instead. You don’t need to spend a lot to have a soothing DIY spa day in your own space. With some simple, all-natural ingredients, you can treat yourself to the ultimate girls’ day in! Most of the supplies you’ll need can be found in your kitchen and bathroom, without a trip to the store. The best part? It’s totally customizable. Recipes, ambiance, and the guest list are all up to you. Craving some solitude? DIY solo. Need to laugh with friends? Make it a party! There are so many different options—and you can tailor your products to your skin type, whether you need a cleanser for dry skin, or a treatment to help soothe oily, troubled skin. Follow these step by step instructions to treat yourself to an indulgent DIY spa day! First off, don’t try to fit your spa day into a few hours after work, unless you absolutely have to. Give yourself permission to take a whole day for yourself! Your spa treatments might not take that long, but the luxury of time will help you relax into your pampering and make the day all about YOU (and your friends, if you’re inviting them!). Whether or not you’re planning a solo day of luxury or sharing it with a friend, make your spa time specific and non-negotiable. You’ll be rested and recharged enough to take on the world after a day that’s all about you! Decide which recipes you’ll use ahead of time so you can get them ready in advance. Head to toe treatments will do the most for your well-being, but you can also focus on just a few areas if that’s more your style. Aching, tired feet? Soak, scrub, and moisturise them! Facial skin parched? Make sure you’re caring for it properly with a cleanser for dry skin, exfoliators, and deep moisturisers. Longing for a hot bath? Add that to your plans, and whip up some soothing bath salts or a bath bomb. Check your pantry for the staples: coconut oil, sugar, fruit, Epsom salts, and essential oils. Love to paint your nails? Make sure you’ve got a shade you love on hand for your mani-pedi! Get all the essentials ready before you begin. Don’t get started until everything is set for your day of pampering. Set the scene. Get into the mood by putting on some soft, soothing music and lighting a few candles or some incense. Prep some spa water in a pitcher to help you stay hydrated throughout the day: slice up some cucumber and fruits to lightly flavor the water and make you more likely to sip consistently. Make sure you’ve got a comfortable place to relax while your recipes work their magic—you don’t want to be standing in front of the mirror in a face mask! Ensure the temperature is as close to perfect as possible, since you’ll want to lounge without feeling too hot or cold. Slip into some comfortable pyjamas or a soft robe and slippers for a cozy feel. Mood set? Time to get started. Your first treatment should start to open up your pores and prepare your skin for the day. If you just want to steam your face, use a bowl of hot water. Cover your head with a towel and drape it over the bowl—just don’t get too close! For a more thorough steam experience, put your shower to work. Run it as hot as it will go for about 20 minutes with the bathroom door closed, you’ll get the benefits of a steam room without the expense! Once your pores are open, it’s time to cleanse. You don’t have to get fancy with this step—just be sure to use a gentle, all natural cleanser for dry skin or oily skin, depending on your needs. Getting rid of all the dirt, oil, and any residual makeup is key to getting the most benefit out of your treatments. Stubborn makeup? Use some virgin coconut oil or sweet almond oil to swipe it away with ease. Take your time with soaking and scrubbing. Take a hot bath or treat your feet with their own soaking tub. Your feet will appreciate their own exfoliating scrub, like this peppermint-infused recipe that’s easy to whip up. Or, you can make an all-purpose scrub that’s safe for the whole body if you prefer (such as this coconut-lime concoction)—just be sure to use gentle ingredients and pure oils. Don’t forget to exfoliate gently—your skin will thank you. What would a spa day be without a facial mask? Once you’ve exfoliated, there’s a whole range of homemade masks you can try—pick one for your skin type and go wild! This milk, honey, and oatmeal recipe is a great choice for irritated or dry skin. Cucumber slices may be cliché, but they’re easy and effective eye soothers, so give them a try with your favorite mask recipe. Sitting around while your mask works its magic? This is a great time to get down to the manicure and pedicure you’ve been looking forward to. A simple cucumber and lemon soak can prep your fingers for moisturising, shaping, and polishing steps. Treat your cuticles to an argan oil rub before you start painting and buffing! Now that you’ve cleaned, steamed, and exfoliated, your skin might like some moisture to help it feel hydrated and rejuvenated. Make your own body butter for rich moisture all over. It’s easy to make, and coconut oil makes a great base. For your face, you’ll want to choose a different moisturizer, since facial skin can be more sensitive and prone to oiliness. Biconi Glow Facial Serum is a great choice for this step, nourishing the skin with powerful antioxidants and nutrients for the skin. Pure argan oil is also a great choice for moisturising the face—it’s non-greasy and great for your skin! While most skincare routines include cleansing, exfoliating, and moisturising, there’s no better time than a spa day to add an extra step: toning. Toner can balance and refresh your skin. You can buy expensive toners—or, simply make one yourself by boiling rose petals in water. Why stop with your skin? Your hair deserves just as much attention, and is often under intense stress as well. If you color your hair, use heat tools, or chemically treat your hair, then it could probably use a little TLC. If you have oily hair, you may be reluctant to try oil treatments—but they’re a great option for all hair types, especially pure argan oil. Argan oil is a hydrating treatment that doesn’t add grease to the hair. By massaging a few drops into your hair, you get two benefits: smoother, silkier hair, and a stimulating scalp massage. This is a great step to end your all-natural spa treatments. Be sure to choose an organic oil from an ethical producer! Feeling warm, clean, and refreshed? Don’t feel like you need to end your luxurious spa day with your last treatments! Take some time to savor. Sip some fruit-infused water, warm honey-lemon water, or an herbal tea, and sit back in a dim room (you did light candles, right?) for a while. Let your stress melt away, and allow yourself time to let your mind wander. This is the perfect time to fit in a meditation session or another calming activity, like reading. Make it all about you, and do something you enjoy! Your DIY spa day is great for your skin, hair, and body, but it’s even better for your mind. It’s easy to get burned out during the week if you’re rushing from one obligation to another, and it’s important to take time to reset and relax. If you’re busy and stressed out, it might seem impossible to spend a whole day on yourself, but it’s one of the best things you can do for your productivity and enthusiasm. Give yourself the gift of a relaxing day at home and wake up the next day refreshed—and ready to take on anything. Can’t afford a whole day at the moment? Work some pampering into your daily routine to life your spirits—like a hydrating cleanser for dry skin or a nourishing moisturizer like organic argan oil or Glow Facial Serum until you can take the opportunity to really treat yourself with your dream DIY spa day. Your skin, and your mood will be forever grateful!